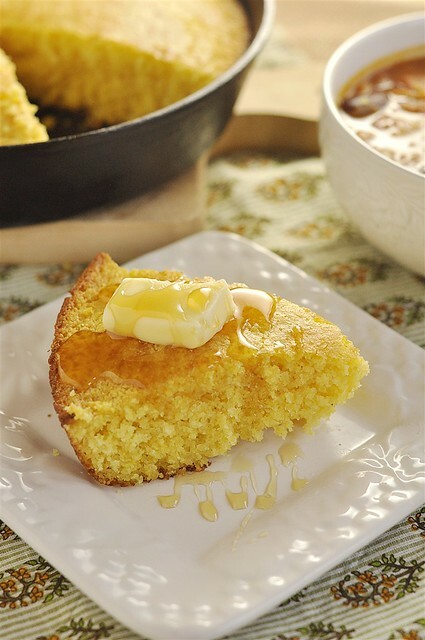 Skillet Cornbread is easy to make and the crispy edges are delicious! I love cooking in my cast iron skillet. It makes me feel like a pioneer. Like a “real” cook. I have three cast iron skillets that stay stacked inside each other on my stove top at all times. I like they way they look. I also have no room for them in my pot and pan cupboard! It just makes me happy to see them there- just getting better with age. Just like me 🙂 Is that crazy!? I love cooking or baking in them every chance I get. This recipe originally called for the cornbread to be baked in a 8 x 8 pan. I decided it would taste better if I cooked it in my cast iron skillet and I think I was right! I think food cooked in a cast iron skillet tastes better – how about you? 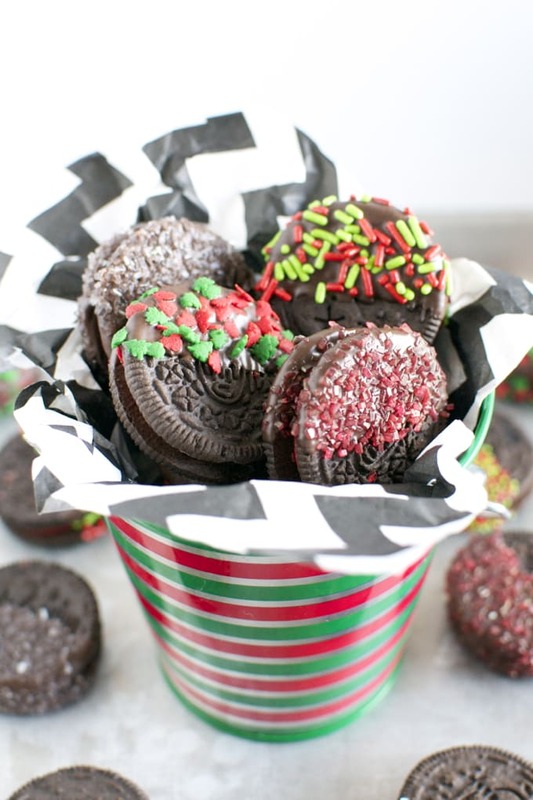 Of course you can make this even if you don’t have a cast iron skillet but Christmas is coming, maybe you should add one to your list!! 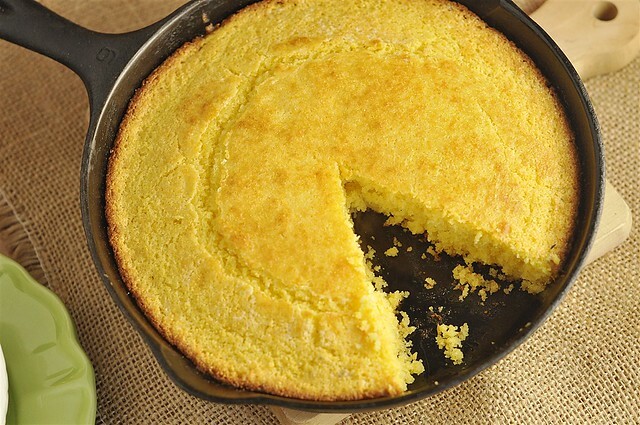 This recipe for Skillet Cornbread calls for cornmeal of course. You find it in the baking aisle. Put your eggs, buttermilk and melted butter together in a bowl and beat. I do think buttermilk makes a difference but you could use regular milk. Pour your dry ingredients into your wet ingredients. 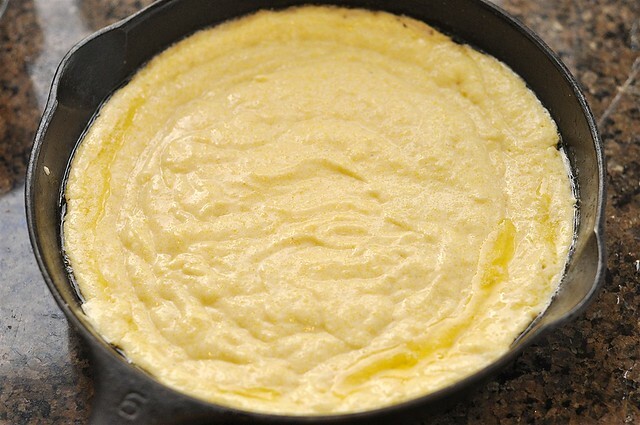 Put 1 tablespoon butter into your cast iron skillet or you 8 x 8 pan and put into the oven as it preheats to 425. Only leave it in the oven until the butter melts and then remove pan. Watch it so you don’t burn the butter! 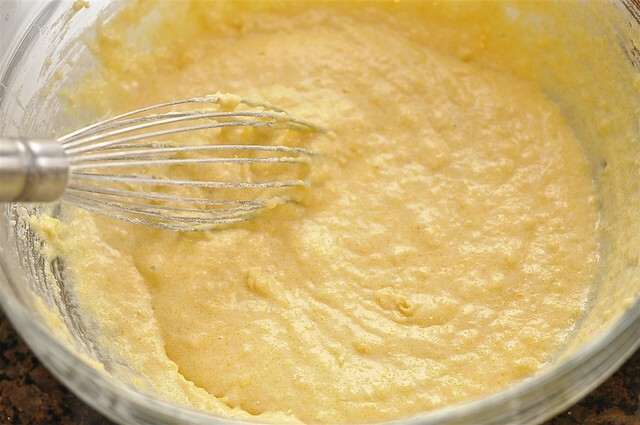 Pour your cornbread batter into the pan with the melted butter. Put it back in the oven and bake for 18-23 minutes or until a toothpick comes out clean. You are now ready to cut yourself a nice big piece and slather it with butter and honey or better yet – honey butter! Check out my mother in law’s amazing honey butter recipe here. I love how the cast iron skillet gets the edges of the cornbread nice and crispy. Skillet Cornbread is the perfect partner with just about any soup or chili. Try it with my Pumpkin Chili with Chicken! Put 1 Tbsp butter into your pan and place in oven as it preheats. Remove as soon as butter is melted. 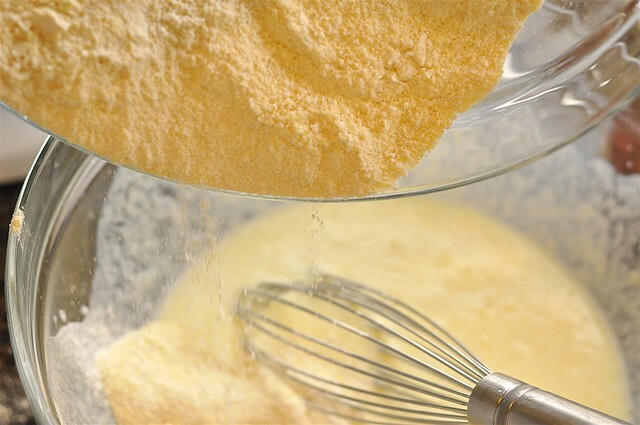 In a bowl combine flour, cornmeal, baking powder, baking soda, sugar and salt and mix. 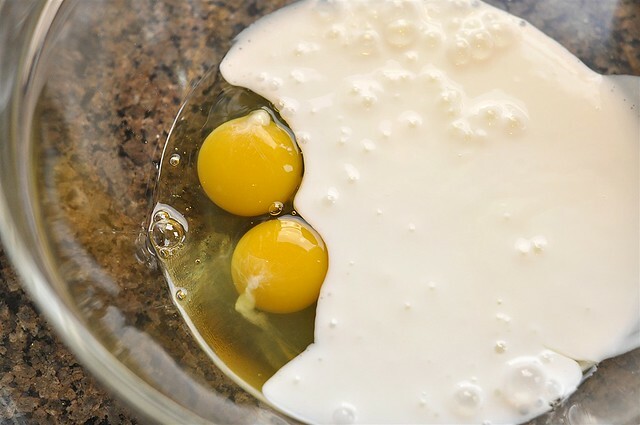 In another bowl mix together buttermilk and eggs. Add in 1/2 C melted butter. 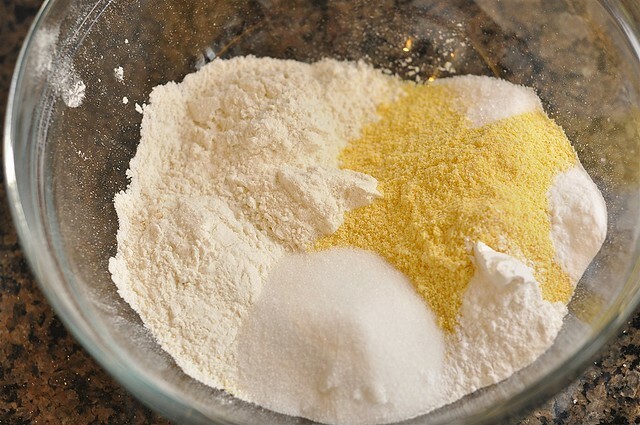 Pour the flour mixture into the liquid mixture and mix until just combined. 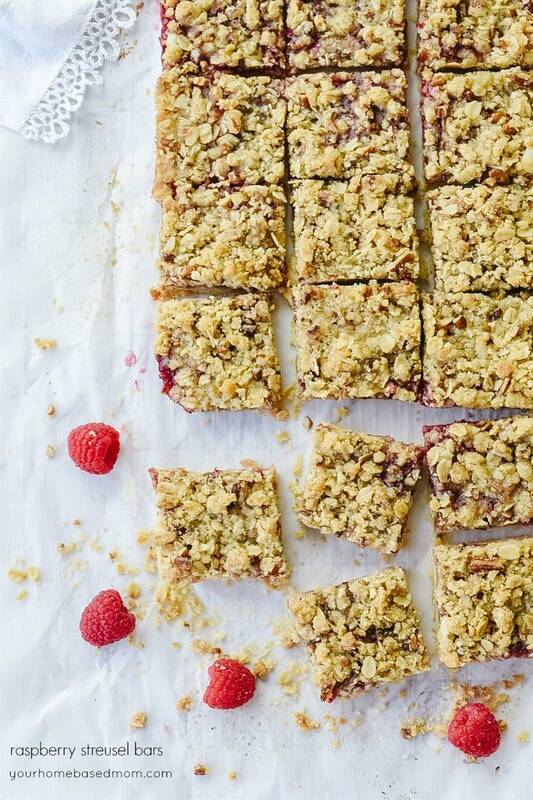 Pour into pan and bake for 18-23 minutes or until a toothpick comes out clean. One question though, It looks like your skillet is small, I have a 12″ cast iron skillet, do you think I would need to double the recipe in order to fill it? My cast iron skillet is 10 inches so it would be thicker in an 8 x 8 so if you doubled the recipe in a 12 inch skillet it would probably be thicker like in the 8 x 8. You could also just 1 1/2 times the recipe instead of doubling it and see how that works. 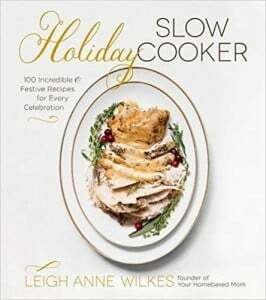 OK, I’ve never been a great cornbread baker-this looks pretty easy (and I actually have a black iron skillet!) so I will be giving this one a try for sure! 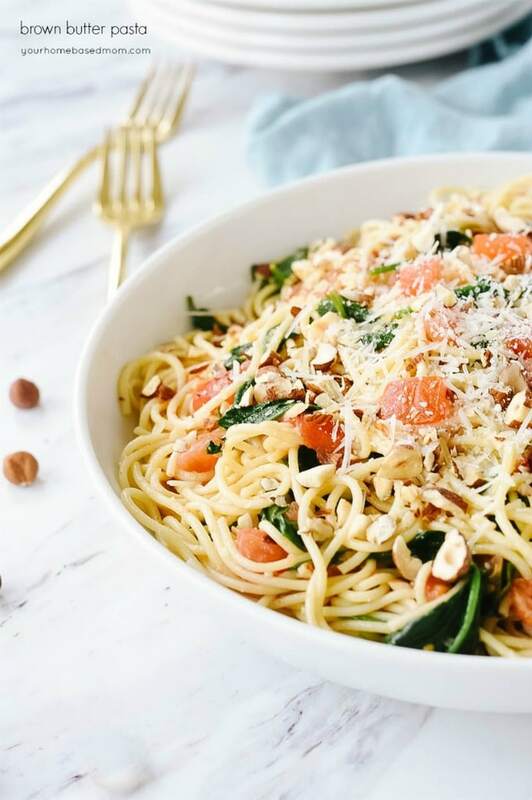 LOVE all of your recipes-you keep it simple and they are always delish!!! Thanks Heidi! 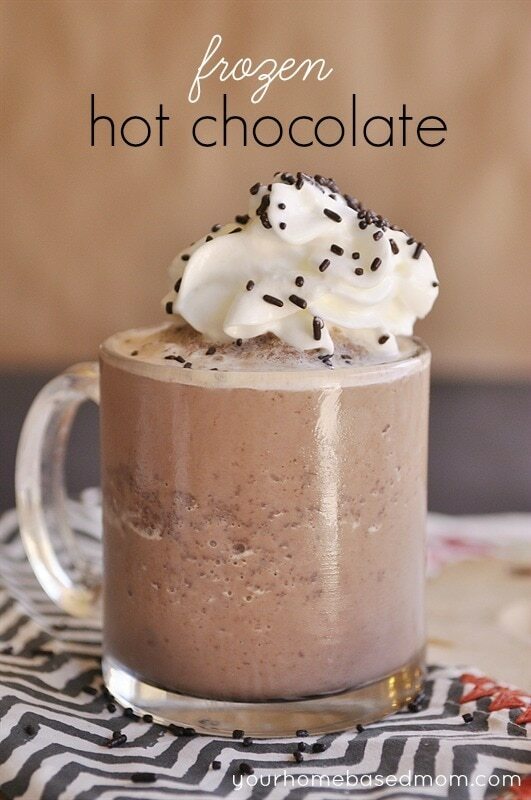 Give the recipe a try and let me know what you think. 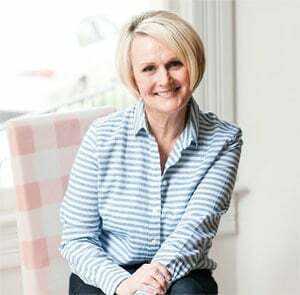 SO glad you enjoy the recipes and I appreciate your kind comments so much!! Oops – that got left off – 1/2 tsp. I have updated the recipe. Thanks for the heads up! I made this tonight for dinner, and you’re so right about the cast iron! It was delicious and had the best crust! Yummmmmm! Mmmm…looks tasty! Have you made the recipe where you grind your own popcorn kernels then use that as your dry mix? Our mom makes it and it’s soo delish! 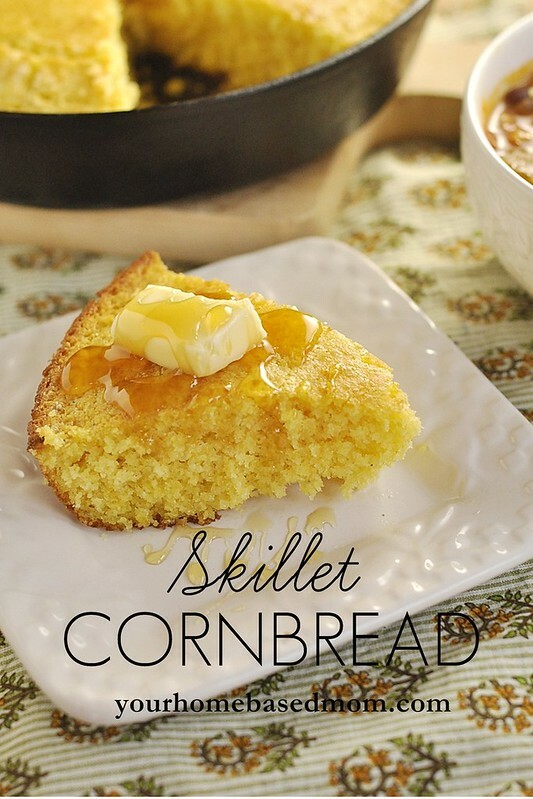 I haven’t heard of that way of making cornbread – I might just have to give it a try. Can you grind them in a Vitamix I wonder?? Wow. Made this tonight. I have tried several cornbread recipes and they’re always a bit dry. Not this one! I preheated my little 8 inch cast iron skillet (I, too, love cast iron) with some vegetable oil. Then kept it in there until time to add the cornbread glop. Only added the T of butter at the last minute so it wouldn’t burn. This had a nice crispy edge and a soft, delicate interior. This will be my recipe forever. Thank you!!!! 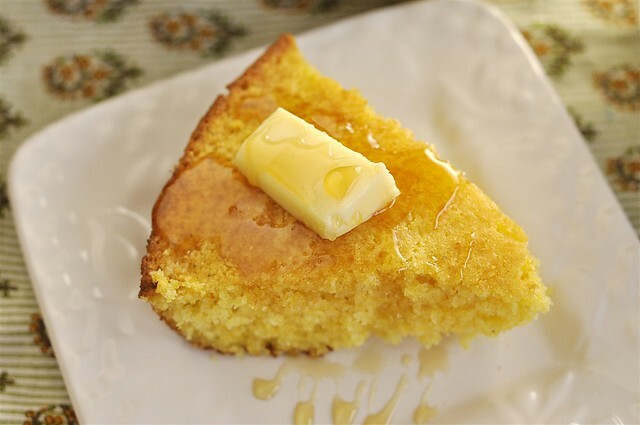 I love this cornbread recipe. It is sweet without being overly sweet and it’s not dry at all. And melting the butter while the oven preheats makes such a crispy, buttery crust! 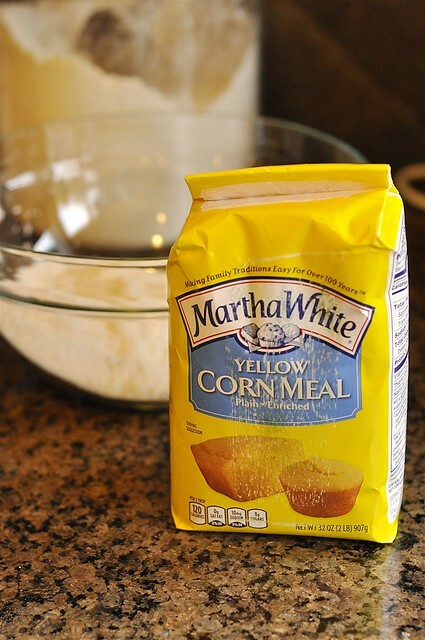 This will forever be my cornbread recipe. I never write in and rate recipes, but this one is so good, I just had to. Thanks for sharing.